One thing the Japanese are very proud of is that their country has four seasons. I think that some of them actually believe that Japan is the only place in the world that does. Japanese friends have looked at me in disbelief when I have tried to explain that Utah, where I grew up, has four seasons,too. The Japanese people love nature and observing the changing of the seasons and it is fun to take part. This past weekend, the sakura, cherry blossoms, were in full bloom. 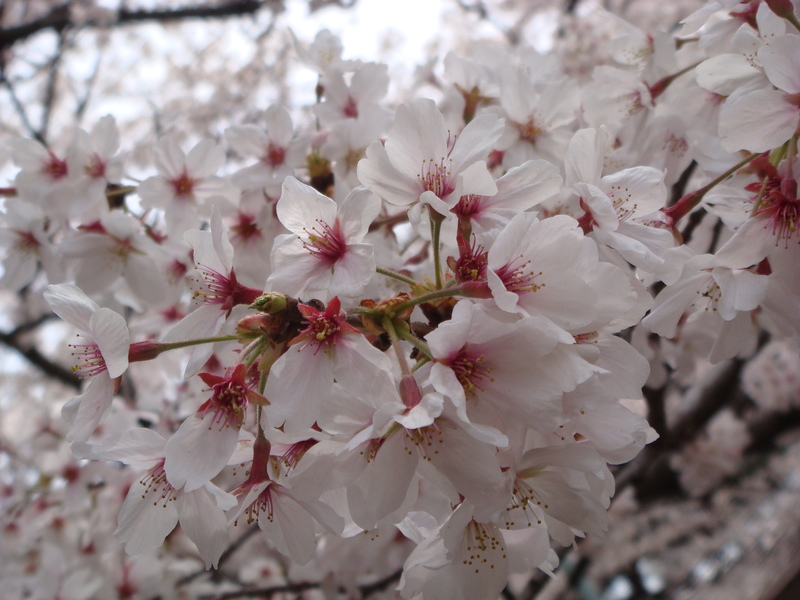 The sakura is considered the national flower of Japan. There are over 400 varieties of cherry trees in Japan. Japanese sakura do not yield fruit like other cherry trees. Hanami (cherry blossom viewing) has come to represent gathering under the sakura trees with friends and celebrating the beauty of the blossoms at their transient peak. First, a tarp is spread on the ground to mark a group’s territory. Often, low tables and cushions are brought in. 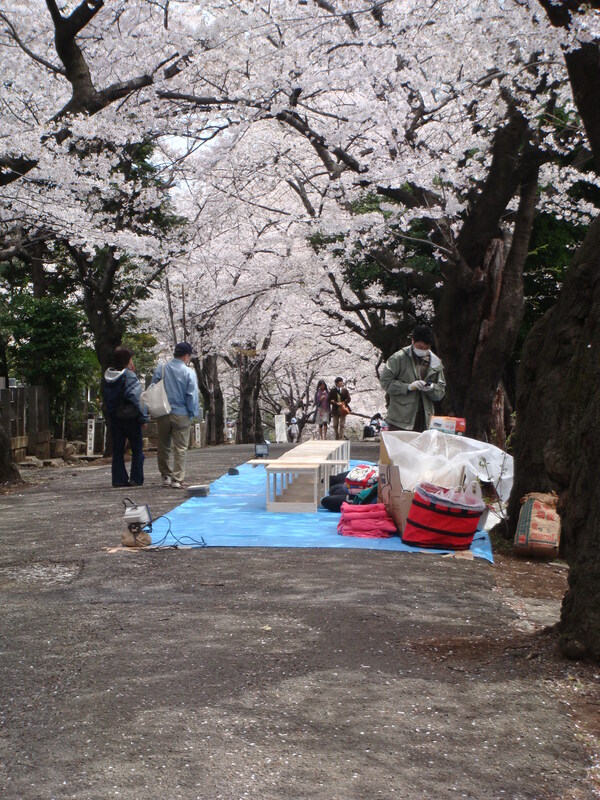 The party goers sit under the cherry blossoms to eat and drink sake and beer. Most of Tokyo’s residents were out viewing the cherry blossoms on Saturday. I didn’t arrive back in Japan, from the US, until after dark Saturday night. I had hoped to get out for a walk Sunday, but it rained Sunday and Monday. 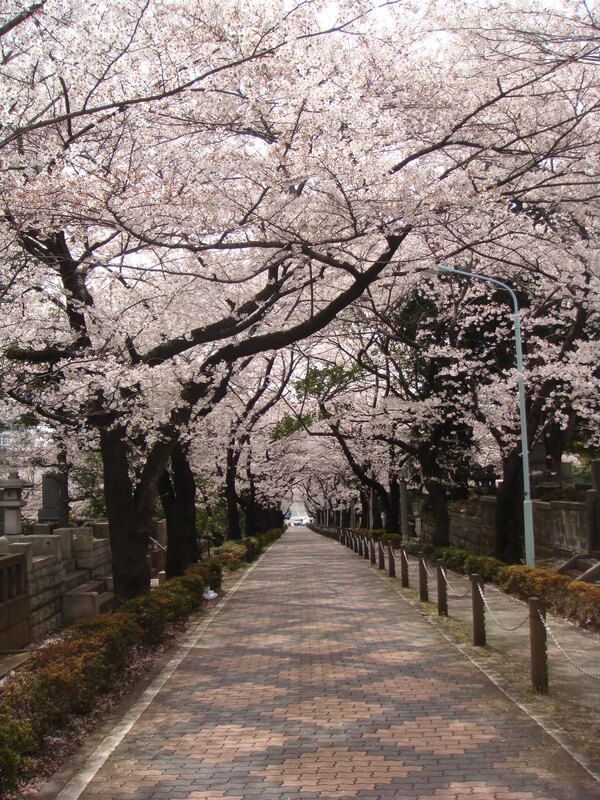 Today, I was finally able to walk to my favorite place to view cherry blossoms, Aoyama Cemetery. I like Aoyama because the trees line both sides of the main street and form a beautiful canopy to stroll under. It’s peaceful and less crowded than other locations making it easier to snap a photo without a thousand people in it. So you see, once again I blog about the seasons.